At Tents & Events, we want your special event in Newtown, Horsham, PA, and nearby communities to be spectacular! 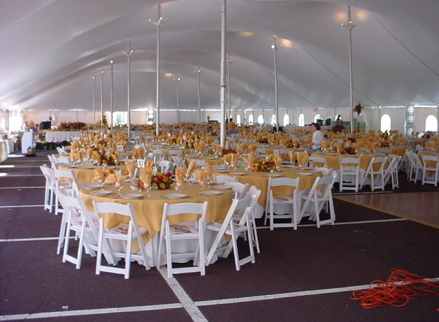 We offer the best in the tent rental full-service industry for Lansdale, Willow Grove, Warminster and surrounding areas! Tents & Events is a full-service outdoor party rental company in Yardley, serving Philadelphia, Doylestown, Bucks, and Eastern Montgomery Counties. Our people make the difference when it comes to generating a unique outdoor party atmosphere in Southampton, Yardley, Feasterville, and the surrounding regions. Tents & Events staff consists of several highly trained individuals, with decades of experience providing full-service party tent rentals. We do much more than take orders in the Langhorne and Doylestown areas; Our full range of services starts with our highly trained event consultants, and extends to our on-site delivery personnel, who travel to any place in the Huntington Valley area to setup the tent. The Tents & Events’ team is dedicated to serving customers in Newtown, Ivyland and the surrounding areas with a "can-do" attitude that starts at the executive level and extends right to the point of customer contact. We rent a variety of party tents throughout the Feasterville area so that you can have a ton of options for creating your outdoor event. No matter what the style may be or how large the head count is, we have the tent to accommodate it – with full-service all included! The tents can be erected on any surface – making your event able to be held anywhere. At a beautifully landscaped park in Levittown, PA, or at the lot of a banquet facility in Elkins Park, PA, our staff will have your tent rental atmosphere up and running in no time. But, tent rentals aren’t all that we specialize in near Ivyland and beyond! We also provide outdoor equipment and supplies to make the theme of your soiree come together in Holland, Southampton, and Richboro. With a high quality tent that matches the style of the festivity, you have the destination achieved; but what about the entertainment, tables, and food? We can handle that too. We offer round tables, chairs, color coordinated linens, buffet cooking equipment, flooring, staging, and dining instruments so you can throw the ultimate celebration of a lifetime in Lansdale, Warminster, or Yardley. Simply take a look through our website, select the items that interest you, complete the “Request A Quote” page at your leisure, and submit! Our staff will reply via email, usually by the next business day. Planning an event in Willow Grove or Trevose couldn’t be simpler! Feel free to contact us at any time for questions about tent rental in Huntington Valley, Glenside, Langhorne, and other surrounding areas. We serve customers all over Bucks County and Philadelphia, including people who live in Richboro, Trevose, Levittown, Holland and Horsham and many other areas.